Brussels, Belgium. 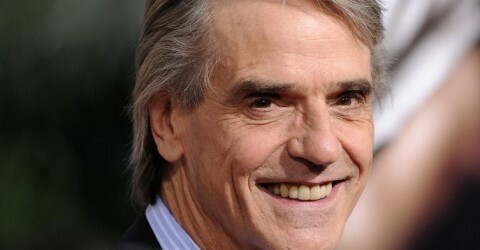 7th March 2013 — British actor Jeremy Irons participated in a talk about plastic waste at the EU Commission. Jeremy was invited by EU Commissioner Januz Potonik to talk about plastic waste in the world. He added his voice to an EU campaign to ban non-recylable plastics, including plastic bags. 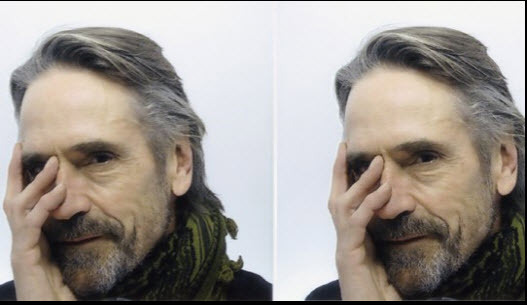 British actor Jeremy Irons brought a rare touch of glamour to the European Union’s headquarters in Brussels on Thursday to talk about an issue close to his heart: Trash disposal. “I refuse to call it waste. ‘Waste’ is a verb, it is what we do. We are wasting our resources,” he said. His appearance at the European Commission, the bloc’s executive, was in support of a drive to find ways of reducing the mountains of plastic rubbish generated annually, much of which ends up in the world’s oceans. “What I’ve tried to do is glamourize trash,” Irons said, conceding that it was not an issue that won many votes. Irons dismissed the tendency to shelve recycling as a matter to be dealt with after resolving more pressing issues, such as the economic crisis. The actor said: “We can make money out of recycling,” adding that it also generated jobs. He referred to the 12 million euros (15.6 million dollars) that Ireland had made by introducing a 15-cent charge on plastic bags, which he said had also reduced the use of new bags by 92 per cent. He said disorganization and vested interests – specifically those of the companies earning money off rubbish disposal and incineration – stood in the way of progress towards better trash management. Ultimately, however, Irons said it was up to individuals to bring about change – by refusing to buy plastic water bottles, reusing and repairing old goods or by composting, as he did. “I’m just a bloke,” the actor said. “There are a lot of blokes and women around in the world,” adding that it was their behaviour that would help bring about change. “Politicians will therefore, in their normal fashion, be able to follow the current mood,” he added. Last year, Irons produced and featured in a documentary film, Trashed, highlighting the issue of rubbish disposal and the need for more recycling.